Harper Court exemplifies the elements of a true success story: meaningful public-private collaboration, a forward-thinking approach to community engagement, sustainability in spades, a pedestrian-friendly design, and true urban revitalization. 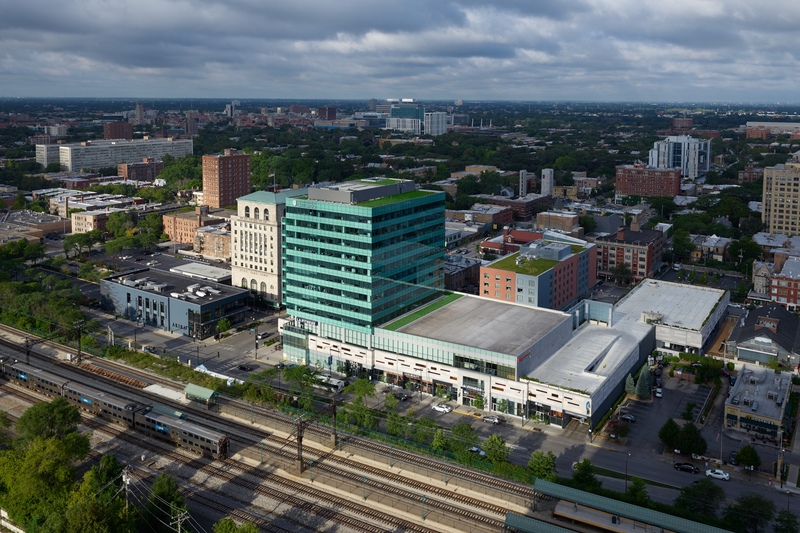 As the largest private-sector investment of its kind in Hyde Park on Chicago’s South Side, Harper Court is a modern mixed-use development that anchors a historic community and stokes the neighborhood’s economic engines. An ambitious layout of retail, class A office space, parking and community areas, Harper Court serves as a prominent gateway to both campus and community. It is anchored by a 150,000 square-foot office tower for the University of Chicago. There is also 131-room Hyatt Place hotel, a large-scale fitness facility, and a ground floor with 45,000 square feet of retail focused on dining and entertainment. 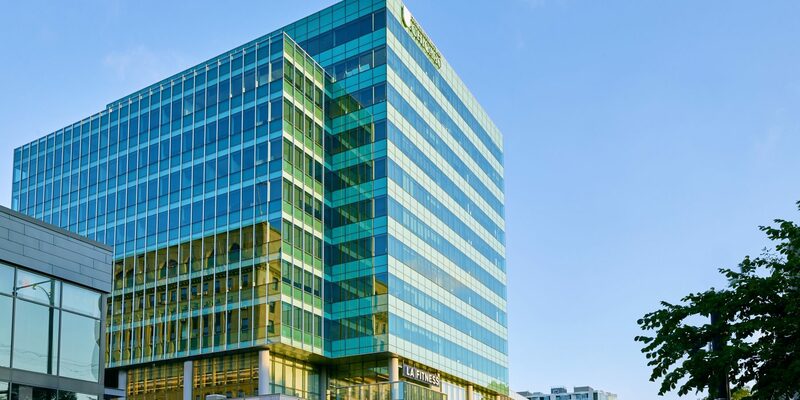 Harper Court was featured in an Urban Land Institute case study, was awarded multiple LEED certifications, and was named Chicago’s 2013 Development of the Year. Revitalizing a historic neighborhood through community input. The city of Chicago and the University of Chicago initiated the Harper Court project back in 2000 to revitalize the existing Harper Court complex, which had been deteriorating for decades. Then Alderman Toni Preckwinkle engaged residents and the surrounding community in workshops to weigh in on what they would like to see realized. Their input became a key ingredient in shaping the building design, mixture of retailers, and development throughout the project. A thriving commercial corridor that connects the city fabric. With its L-shaped, pedestrian-friendly internal drive that bisects the site, Harper Court’s design acts as a natural extension of its surroundings. One of its marquee features is a vibrant public plaza for events, farmer’s markets, festivals and outdoor restaurant seating. In total, approximately 40,000 square feet of wide sidewalks and private drive can be closed off to vehicular traffic to create a unified plaza of bustling activity for residents, shoppers, faculty, and students alike. Partnering for the long haul. The project started during a significant down cycle in the real estate market, so developing strong partnerships with the University of Chicago, the city, and several private entities was key to the project’s success. A layered and phased financing approach, including a variety of capital sources was also essential. 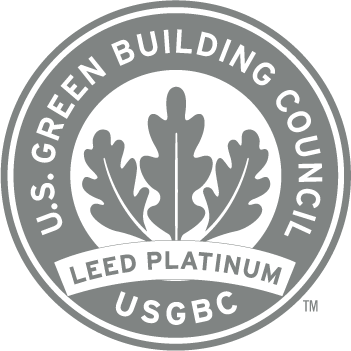 The project achieved virtually every brand of LEED available. The main building is LEED Gold for Core & Shell while the university’s offices are LEED Platinum for Commercial Interiors. 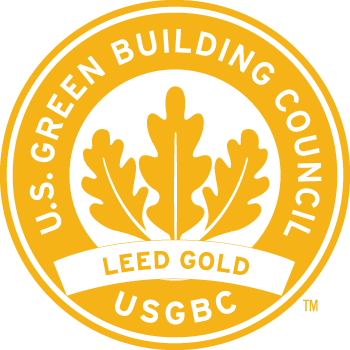 The project as a whole was designated LEED Gold for Neighborhood Development. 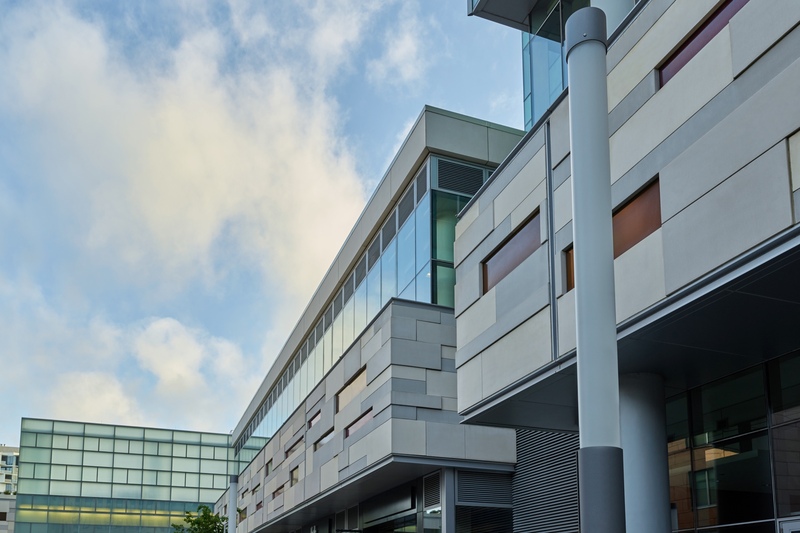 The building envelope is comprised of high-efficiency windows that provide ample daylighting and the curtain wall also has highly insulated panels at each level to minimize solar heat gain.